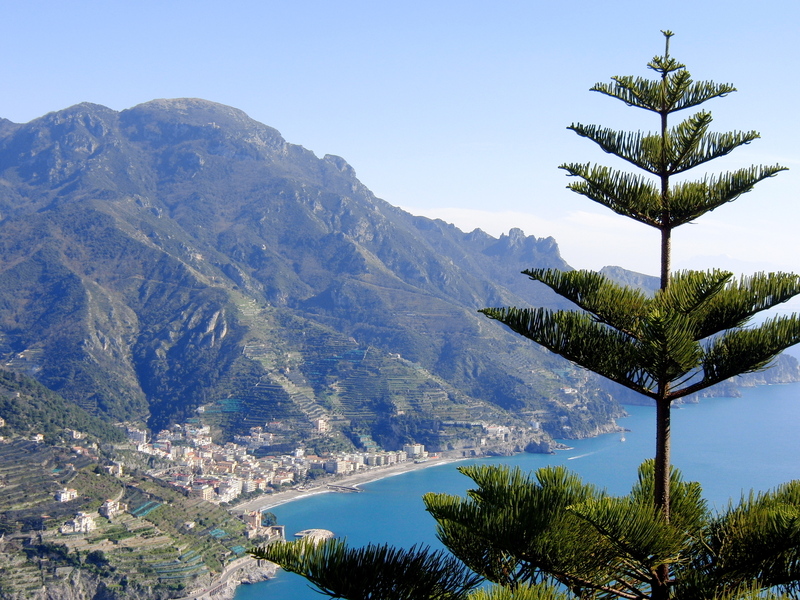 Ravello is a miniscule village. With only 2,500 residents and countless tourists oohing and aahing over its cliff side beauty, it is no wonder that it is listed as a UNESCO World Heritage site. There is something magnetic about the omnipresent view here; it follows you wherever you go. 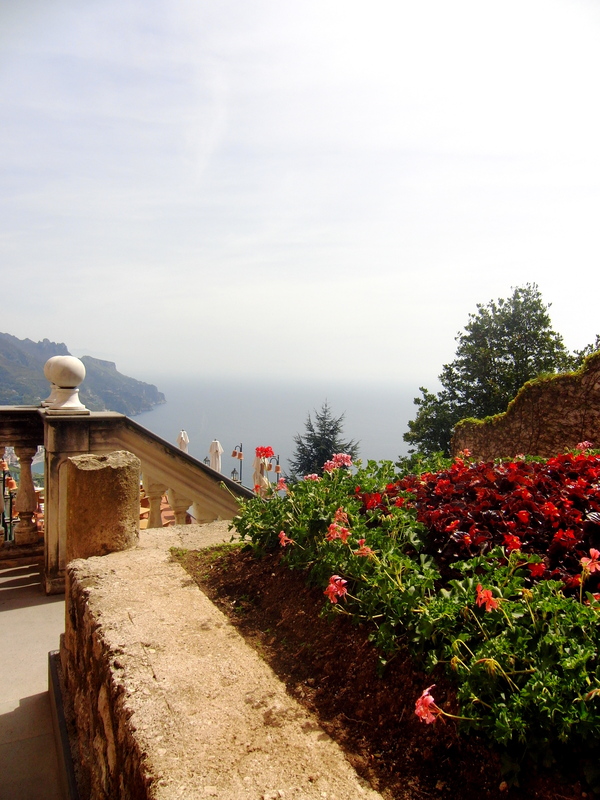 As I make my way down narrow pathways lined with tall hedges, I stumble upon small inns, family gardens, and more dramatic terraces overlooking the sea. 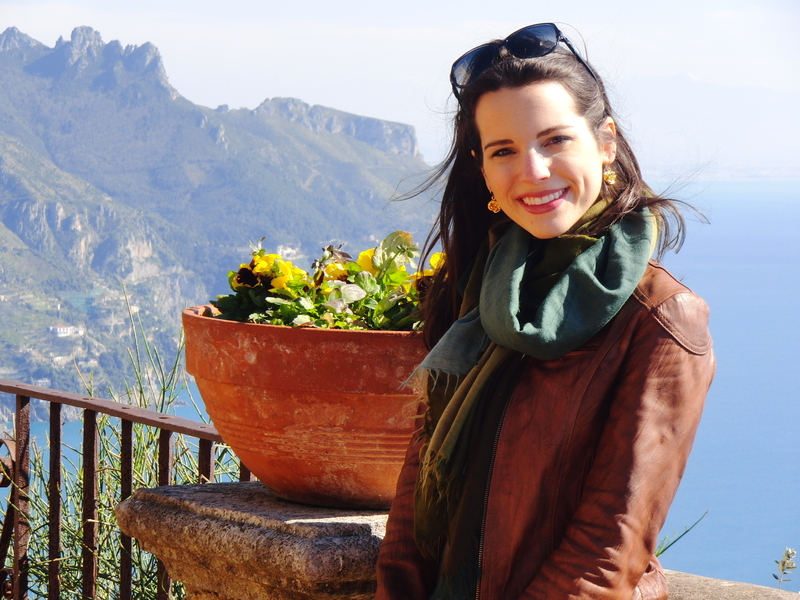 There are no wrong turns in Ravello: I explore at my leisure. 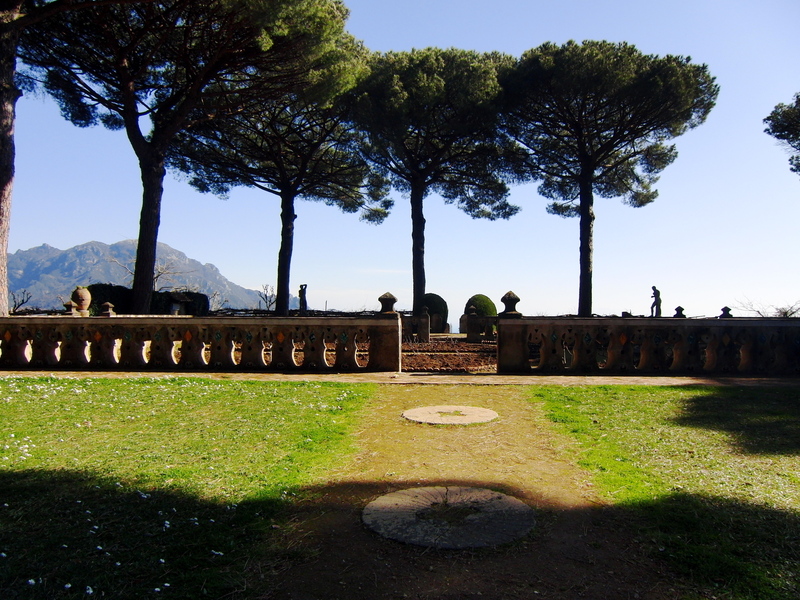 Villa Cimbrone is perhaps the most famous destination for all village visitors. The original building dates back to at least the 11th century AD, and the garden is one of the most tranquil, frozen-in-time properties I have ever been to. I can picture fair-skinned Italian goddesses with long flowing hair trellised with flowers and braids, wandering the garden in white flowing dresses. They might rest in a miniature temple or pavilion, dreaming the day away high above the sea. 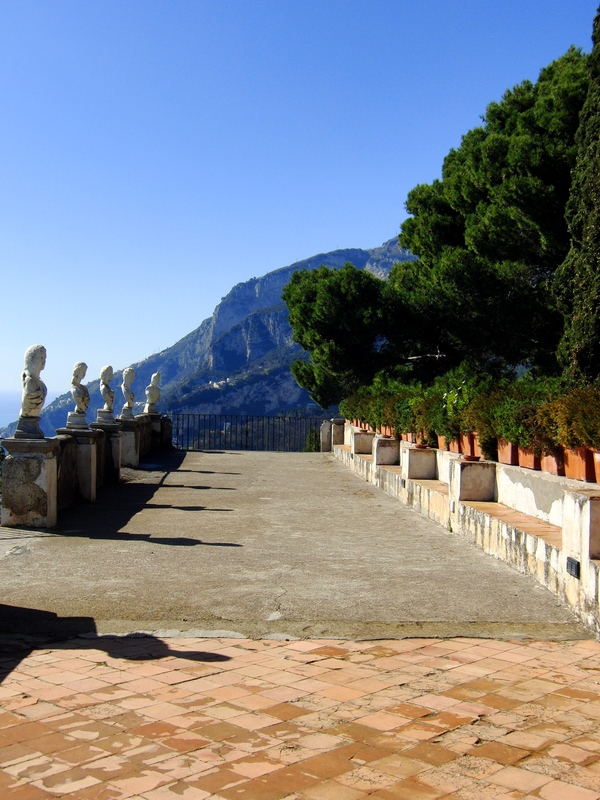 The infinite terrace at Villa Cimbrone makes me wish I could fly. 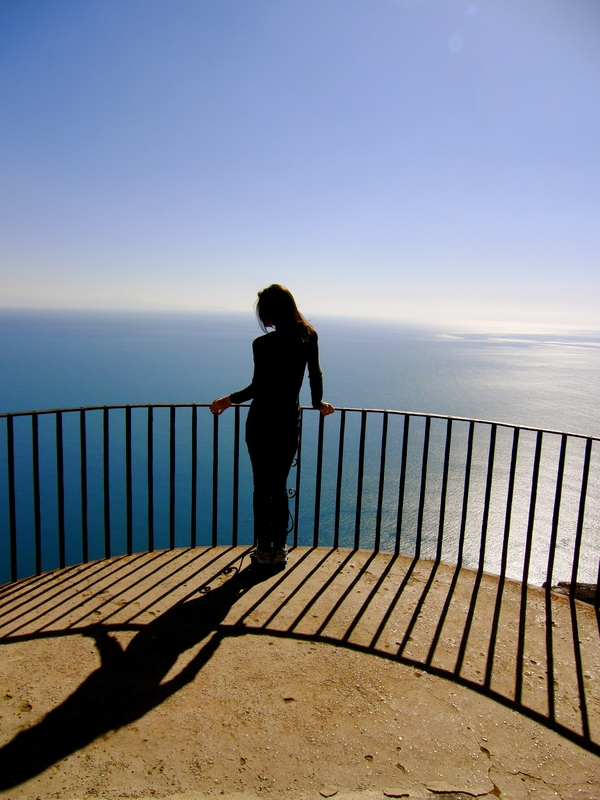 The shocking blue of the sea, a reflection of southern Italy’s vibrant sky, is hypnotic. 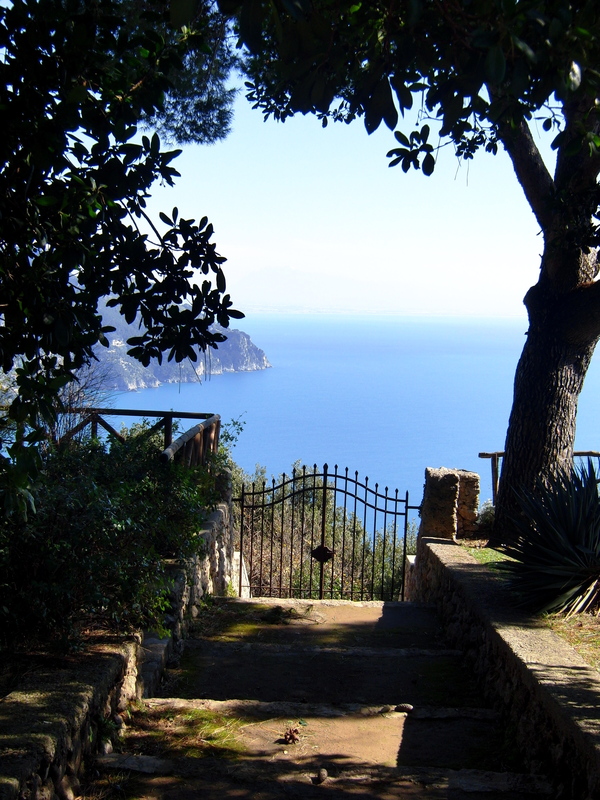 I can see why Greta Garbo chose Villa Cimbrone as her favored escape. I visited in February when the walkway is far more barren than in summer months and the urns not yet planted, but I was in such a dreamy state that I barely noticed. While Villa Cimbrone is now a hotel, it remains a tourist destination, and if the thought of ‘intruders’ bothers you, I might suggest Palazzo Sasso, recently renamed Palazzo Avino, located on the other side of the village. 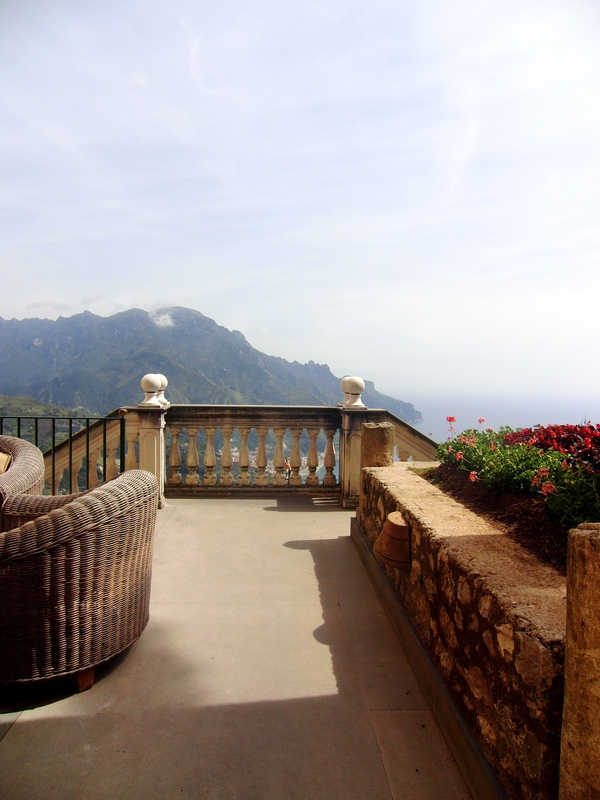 It’s terrace is just as magnificent, and the property has numerous levels of man-made plateaus. Lounging and lusting can be done on all levels, but there is a special level for the hotel’s outstanding spa, outdoor exercise room overlooking the sea, and two separate pool plateaus. 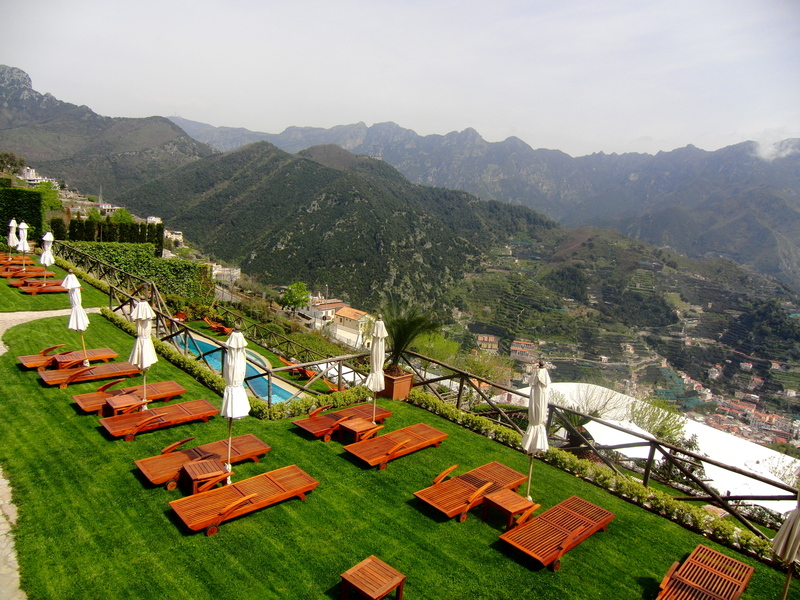 There is even a rooftop sanctuary with two whirlpools, an ideal spot for a dip and a Prosecco as the Italian sun sets. Palazzo Avino offers two dining options: the two Michelin starred ristorante Rossellinis or a casual meal against the crystal blue background on the terrace at Terrazza Belvedere. 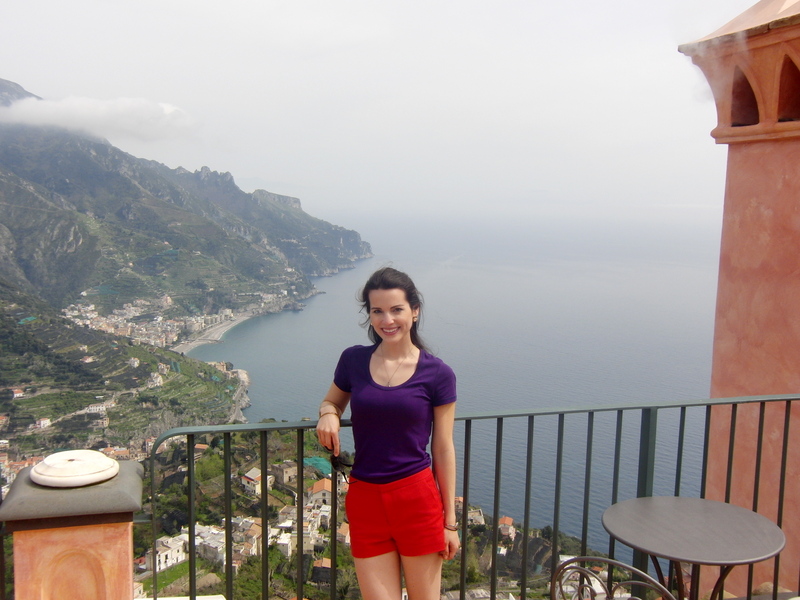 Ravello is the last town on the Amalfi coast, and many tourists who visit Amalfi or Positano never make it this far. 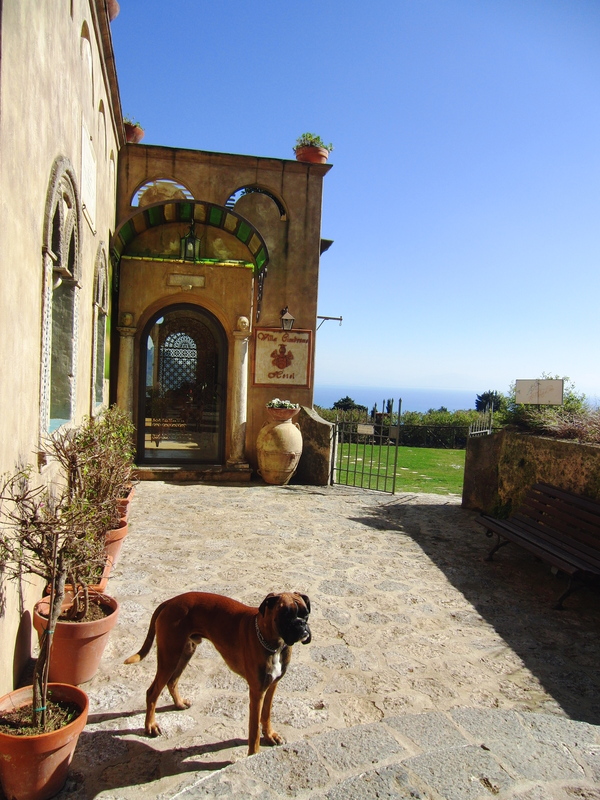 It is therefore quieter, tamer, and more relaxed: a jewel amidst the lemon groves, grottoes, and breathtaking hills. 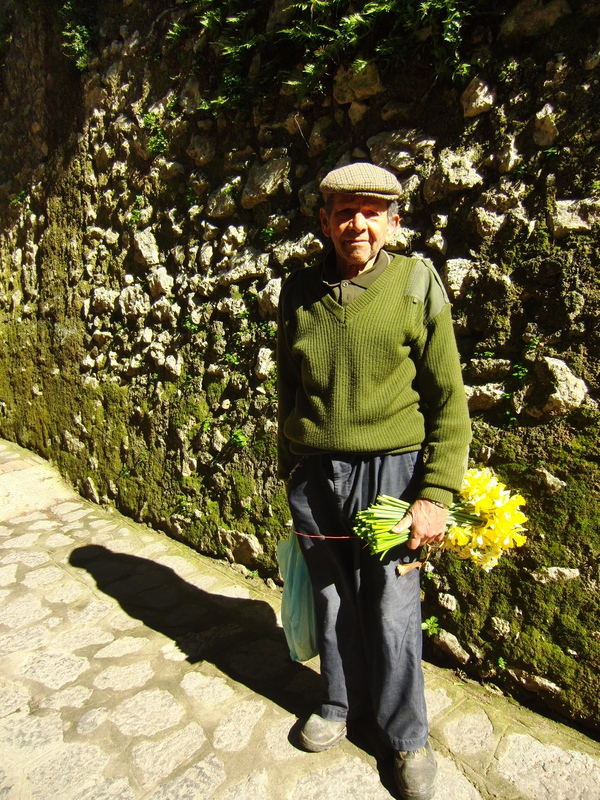 How could I not take this carino man’s photo? 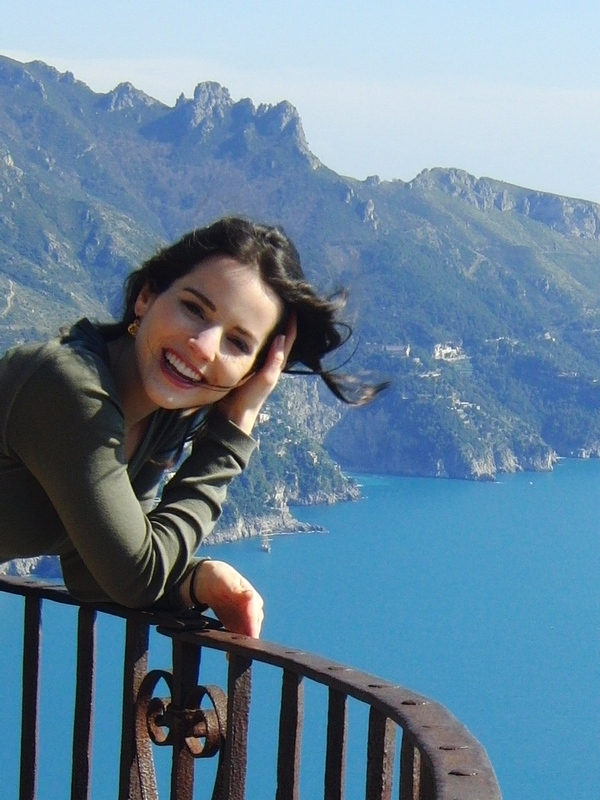 If I close my eyes tightly, I am leaning on that railing again, looking up at the pale pink Palazzo Sasso. Visual sensory overload.